Today I had really blessed time with my Turkish Muslim friends, Kenan and Turgaj (picture Kenan left side,Turgaj right side). We went today in a pizza restaurant at the center in Strumica, and they were very happy. Turgaj said to me that last time for him to be in the restaurant was 2001 (14 years ago). During the dinner I speak about Jesus, and they were very open for the Gospel. Step by step I can see that Jesus change their hearts. 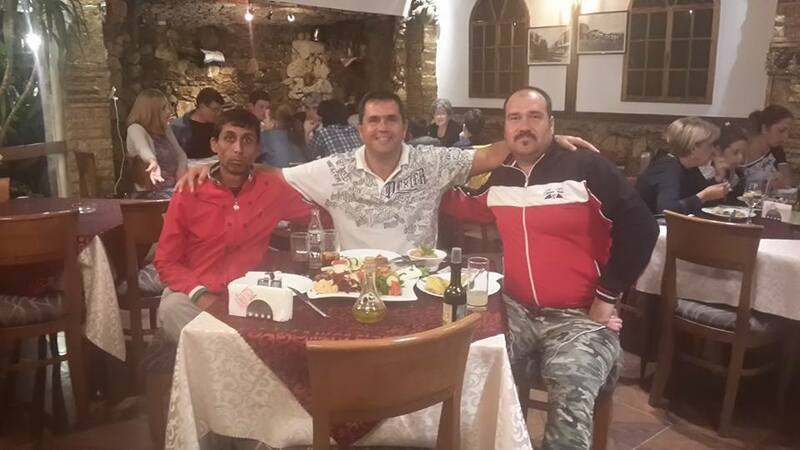 Turgaj is from one Turkish Muslim village Bashibos, and is 30 km far from Strumica. He is married and live now in Strumica. He ask me if I want to go with him on Friday and meet his family in Bashibos. Also he ask me if I can give to his family Bibles in Turkish language. So on Friday at 10am we are going to Bashibos and I will meet his family and probably more Turkish Muslim people. I will have with me a lot of Christian literature in Turkish language, Bibles in Turkish language and some DVD Gospel of John in Turkish language. Please dear brothers and sisters, keep me in your prayers for Friday. Very often I visit house of Kenan and his family and I’m very welcomed there. Every time I have prepared short Bible message when I’m among them and I believe that God will touch their hearts. They need time to understand deeply the Gospel and start to follow Jesus. In that area live maybe 1,000 Muslim people. I expect some bad reaction from some Muslim radical people where Kenan and Turgaj lives. There is one man Jashar and his friends that don’t like me, and the teaching that I present among Muslim people, but I will keep showing them love. Love is mighty weapon. When I will have come back from Bashibos I will write you again. Dear brothers and sisters, I’m very encourage with all of you because I know that you are praying for me and that I not serve alone to Jesus.